Nationwide, according to EPA statistics, only 31% of plastic soft drink bottles, 45% of aluminum cans, and 50% of all post-consumer paper is now recycled. 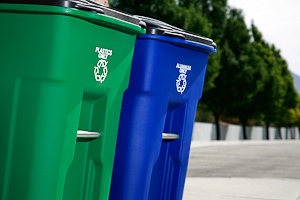 Plastic recycling has increased with the growth of curbside programs, but the jury is still out on recycling plastics. Critics are skeptical that it will ever become a sustainable option because reprocessing the product requires as much energy as producing it from virgin material. Fewer programs accept plastic bags, which are being phased out by more and more municipalities. There is no recycling market for Styrofoam. This useless commodity goes straight to landfills or ends up as litter where it breaks down into small bits and is ingested by wildlife. The most popular brands of toilet and facial tissue, paper towels, napkins, and other paper disposables are still made from the virgin fiber of freshly harvested trees. A staggering number of trees could be saved annually if we made a concerted effort to only purchase paper products with post-consumer recycled content. And the price of these products would most certainly be driven down by increased market demand. About 70% of materials that are routinely disposed of in landfills could be recycled. More than 30% of bulk municipal garbage collections consist of paper that could be remade into other paper products. Recycled plastic, metal and glass could also be reused — preserving resources used to make nonrenewable raw materials and greatly reducing the amount of waste disposed in landfills. By now, most of the urban population has convenient, municipal curbside recycling programs that make it easy to divert a wide variety of materials from the garbage can to the recycling bin.Unfortunately, there are plenty of other communities that do not offer this service, making it inconvenient and impractical for many to cart their recyclables to a central facility. Still, curbside recycling is just one piece of the picture. We assume that the articles we recycle are utilized in place of raw materials to make the same products in a more responsible way – with less impact on the environment. However, this is not always the case. 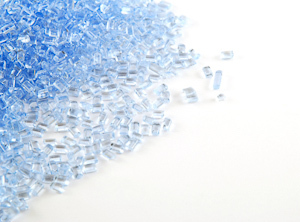 Instead of buying products made of traditional, petroleum-based plastics, consider PLA. This plant-based plastic is compostable in a commercially managed compost facility, offering consumers another method to recycle. See our page on compostability. Again, the marketplace is the driver. Choose products made from bio-based content. The more consumers switch to plant-based alternatives, the more affordable and available they will become. Also see our page on BioPlastics. Limits waste that could go into our landfills. Reduces the volume of glass, plastic and paper that must be produced. Teaches responsibility, often with children learning how to recycle at home or school. Creates green jobs to the economy and fuels a growing industry. Slows down the consumption of limited natural resources. Makes people environmentally aware to “do the right thing” by recycling. Lets trees make oxygen for us to breathe instead of cutting down trees to make paper. Saves energy, reducing the amount of CO2 in our atmosphere. Generates savings when returning glass and plastic bottles to recycling centers.